What Does Ft. Worth Property Management Do? If you’re new to the investment property business, you should consider hiring full-service property management. Ft. Worth landlords who hire property managers tend to get a better return on their investment than those who self-manage. But what exactly does a property management company bring to the table? A full-service company, like Specialized Fort Worth, takes care of everything in the rental cycle while lowering costs and minimizing risks. Let’s take a look at what that means for you. What is the rental cycle? The rental cycle is everything that happens from your tenants moving in until the end of their lease, then starts over again. A full-service Ft. Worth property management company will take care of everything during the cycle. Moving tenants in and out, inspections, marketing, showing, screening, lease signing, collections, compliance, maintenance, and renewals all fall under this umbrella. Don’t waste your money on a company that does not offer all of these services. How Can Ft. Worth Property Management Save You Money? Many first time landlords are unaware of the complexities that come with property management. 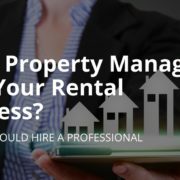 Instead of riding the steep and expensive learning curve of property management, Ft. Worth landlords should hire knowledgeable and experienced property managers. Years of experience mean a property manager knows how to handle emergencies, avoid costly regulatory fines, steer clear of evictions, and run your property efficiently. Cutting costs without cutting corners will mean your property is more desirable to potential tenants while getting you the best return on your investment. Do your research before hiring a full-service property management company. Hire a company that has experience and processes in place to make your investment a success. Make sure you ask what services the company offers, and what you will need to take care of as the property owner. Don’t fall for the promises of a discount company who will often leave you with the bulk of the work, and vulnerable to costly mistakes. To learn more about hiring professional property managers, or to set up a free consultation, call Specialized Property Management today! https://specializedfortworth.com/wp-content/uploads/2018/02/1-Property-management-Ft.-Worth-Ft.-Worth-Property-management.jpg 628 1200 Valerie https://spmfw.wpengine.com/wp-content/uploads/2017/12/SPM_REV-orange_Logo-300x135.png Valerie2018-01-29 05:00:082018-02-21 06:59:22What Does Ft. Worth Property Management Do? Your property can always be improving, and the property management Ft. Worth landlords turn to time and time again is here to help. Try these property management resolutions and discover how a little bit of effort can make a big difference at your rental property. Small Property Upgrades – Resolve to keep your property looking its best inside and out! Things like curb appeal or an upgraded bathroom require minimal effort but pay off big time when potential tenants see your home. Stay on Top of Maintenance – Being proactive when it comes to maintenance issues like changing air filters will improve the life and performance of your home’s systems. A small upfront cost can save you thousands in the long term. 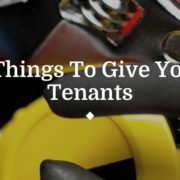 Respond Quickly to Tenants – When your tenants have issues, no matter if they are large or small, the best thing you can do as a landlord is to respond quickly. You can lower tenant turnover rates when you respond quickly to tenant requests. Communicate Clearly With Tenants – As any good Ft Worth property management company can tell you, communication with your tenants is key. Set clear expectations for how the property should be cared for, whose job it is to do certain maintenance jobs, and when you will perform regular maintenance and inspections. If sticking to all your property management resolutions feels like a full-time job, that’s because it is. Owning rental property is a great investment, but if you are inefficient, don’t take good care of your property, or ignore your tenants, you could start losing money. 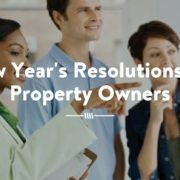 Specialized Property Management Ft Worth can help you stick to your property management resolutions. Our experienced property managers make your home their priority. When you need help getting your home rented quickly, responding to tenant requests, or anything else in between, you can be sure you’re in good hands with Specialized Property Management Ft Worth. Call Specialized for more information about how a good property manager can help. Specialized, your property management in Fort Worth, knows accidents and emergencies can happen to any tenant at any time. The chances are that ‘any time’ will actually be in the middle of the night. That’s why we think it is a good idea to be prepared. As a landlord, you shouldn’t assume your tenant will buy certain household safety items, so providing them yourself can keep your tenants safe and minimize those middle of the night emergency calls. Rechargeable flashlight: often people don’t think about flashlights until they need one. A flashlight will help your tenant avoid injury during a blackout or check for safety and maintenance issues in dark spaces such as under the sink. Plunger: almost every toilet will need to be plunged once in a while. If you provide a plunger, your tenants can do this job themselves instead of calling you to help. Fire extinguisher: this item is important not only to protect your property, but also to protect your tenants. A fire extinguisher is a low-cost way to avoid a major emergency. Emergency call list: who should your tenant call in case of an emergency? With professional property management, Ft Worth tenants know exactly who to call at any time of day or night. A list like this can be attached to a magnet so your tenant can put it on their fridge for easy access. When you hire an experienced property management company, your tenants will always know who to call in case of an emergency. And more importantly, there will always be someone to answer their call, keeping your tenants and your property happy and safe. Specialized is the property management Ft Worth landlords have trusted for almost 30 years. To hear about all our services, give us a call today! Making improvements to your rental property in between tenants is a great idea. Your rental needs to be functional and clean before any new tenants move in, and it is a good time to tackle bigger projects that might be difficult to do while tenants are living in the space. But what about showing the property while you are still making it ready for new tenants? Your Specialized Team knows that is a risky idea. Potential tenants often have a difficult time picturing themselves in the home if the space is dirty or there is construction debris in the way. Your home will attract the most attention immediately after listing, so making sure the home is ready before listing will ensure you get the best kind of attention. An attractive, move-in ready property will be easier to rent out to reliable and qualified tenants. 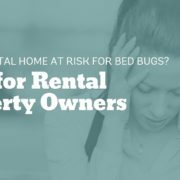 The Property Management Ft Worth landlords trust can help you! Here are a few recommendations from Specialized’s expert property managers. Call Specialized for a free rent-ready checklist so you don’t let anything fall through the cracks when you are preparing your property for tenants. Make cost-effective repairs by thinking long-term. Not skimping on repairs may save you money down the road. A bigger cost up front may mean less time and money spent in the future repairing or replacing a broken system. Get the opinion of multiple property management Ft Worth experts before you list. These extra sets of eyes will be able to point out anything that needs attention in the way a tenant might look at the property. Show your property only after the previous tenant has moved out. Not only is this less frustrating for your current tenant, it will be easier for you to show the house when no one is living there. In addition, you won’t have to worry about the property being dirty or having a weird smell. When you need help getting your property rent-ready don’t hesitate to call the experts at Specialized. Give us a call today to hear about all our services.